It can be confusing to understand different religions from the outside. Take Hasidic and Orthodox Jews, for example. How can they have such different approaches and still both be Jews? Read on to find out more. Hasidic Jews are actually a sect within the larger group of Orthodox Jews. 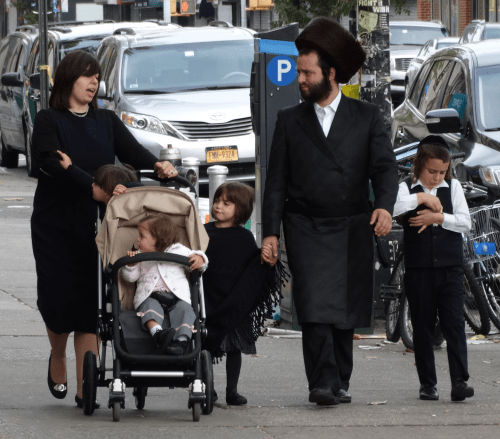 Although they live in the secular world, Hasidic Jews keep to tradition and they try to integrate and adapt some of the modern elements into their everyday lives. Otherwise, they live by the Talmud, study the Torah and their entire community is dedicated to leading a life of piety, which their name represents. 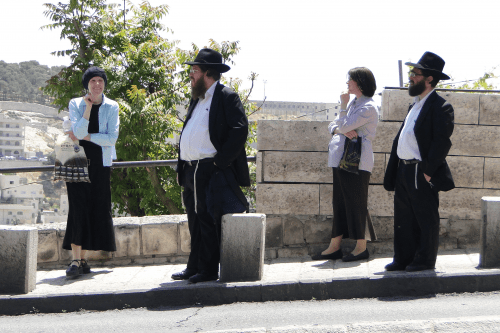 Orthodox Jews are a bigger category of Jews, with sects ranging from ultra-orthodox (highly isolated and very strict in following the rules) to modern Orthodox Jews. This group includes Hasidic Jews and represents a traditional form of keeping to the Jewish traditions. When looking for the difference between Hasidic and Orthodox Jews, it is important to keep in mind the relationship between these two concepts. Therefore, all Hasidic Jews are Orthodox Jews, but not all Orthodox Jews are Hasidic Jews. The comparison between the two is that of a group and a segment of the same group. Of all the Orthodox Jewish sects, Hasidic Jews are the strictest and they are the ones considered ultra-orthodox. By comparison, in the Orthodox group there are also modern-Orthodox Jews who have adapted their lifestyle to more elements of modern life. Hasidic Jews have distinctive garments, especially for the men who wear long coats and fur hats. They let their beards grow and have side curls. The women are supposed to wear modest clothes that cover them from the neckline to the knees. Also, married women must cover their hair. In some extreme cases, ultra-Orthodox Jewish women even shave their heads and wear scarves. On the other hand, modern Orthodox Jews are more adapted to modern life and have no clothing restrictions, apart from the modest attire, which remains a must. Hasidic Jews mainly receive a religious education, while modern Orthodox Jews have both a religious and a secular education. In Israel, Modern Orthodox Jews serve in the military, unlike Hasidic Jews.